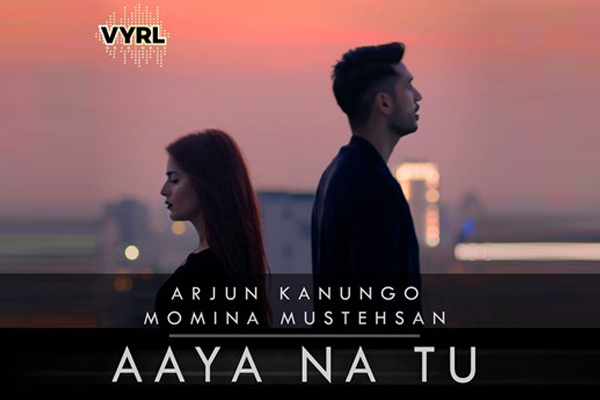 The official music video, shot in Bangkok beautifully captures the essence of the song with an interplay between both artists bringing out the emotions of Aaya Na Tu. With several hits and over 250 million views as well as online streams, Arjun is one of India’s most recognisable pop stars. Starting his pop career with the breakout hit, Baaki Baatein Peene Baad with rapper Badshah, Arjun has gained immense popularity since then. His latest hit single, La La La with Neha Kakkar is currently at 63 million views on YouTube. Momina rose to prominence in 2016, when she marked her Coke Studio debut as a featured artist. She performed a rendition of maestro Nusrat Fateh Ali Khan’s Afreen Afreen with Rahat Fateh Ali Khan that received a critical appraisal and left everyone mesmerised. The video has gained over 180 million views on YouTube. She has also garnered over 350 million views and streams till date for her tracks. In 2017, she was named in BBC’s 100 Women for her work in women empowerment and the following year, Forbes Asia featured her among it’s 30 under 30. The official video of the song is out now on Youtube and VEVO. MUMBAI: With the release of his album ‘7’ back in September, David Guetta has represented the many different sides of his musical journey by relaunching his Jack Back alias. MUMBAI: This Mahashivaratri, Sonu Nigam is all set to launch his two new spiritual singles, Shiv Shankara and Bam Bhole Bam, in association with Times Music. Produced by C G Entertainment Nepal, the songs are composed by the young and very talented Bollywood composer-singer Shreyas Puranik.